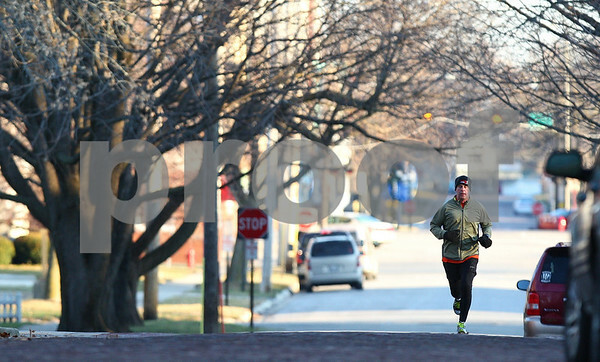 Cohen Barnes runs south on Third Street during his morning run on Friday, Dec. 23, 2011. Barnes is just a few days away from completing his 2011 New Year's resolution of running at least three miles each day. His 2012 resolution is to complete a marathon in under four hours.